Measuring 28cm in length when closed, Genie makes the ideal travel companion. Simply push a button on the handle and Genie automatically open & close. 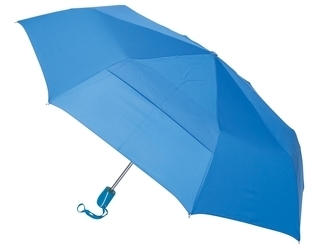 This umbrella also features a colour co-ordinated handle, matching pouch, as well as air vents which allows wind gusts to pass through the canopy, protecting the frame from damage.